We offer a range of fun and affordable programs and workshops all year round – including creative arts for pre-schoolers, painting for adults, pottery, dance and healthy lifestyle classes. Manningham Art Studios are proud of our diverse community of people of all ages, abilities and cultural backgrounds. We focus on well-being and providing an inclusive and supportive environment for everybody. People need to be independent to attend the programs or are welcome to attend with their carer or support workers. Please discuss with office staff. Term Two, 2019 - Last Chance To Book! Choose from one of the below categories to browse courses and enrol online. Please note: Programs run for 9 weeks unless otherwise specified at time of booking. Due to public holidays and unforeseen circumstances, classes may be scheduled outside of the above term dates. Classes may be cancelled because of low enrolments or unforeseen circumstances. A full refund applies in these circumstances. Our art studios are available to hire for arts programs and workshops. Download the below documents for more information and to submit a hire application. 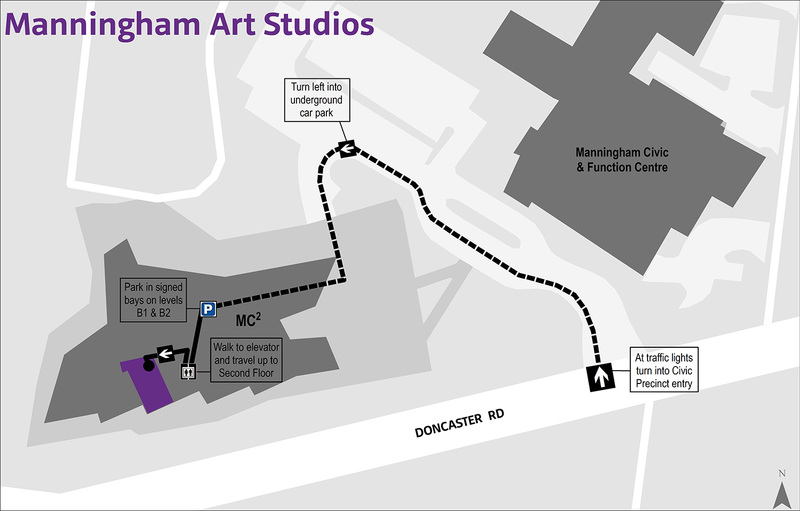 In person: Manningham Art Studios, 687 Doncaster Road, Doncaster. Opening hours: Monday to Friday 9.00 am to 5.00 pm. Closed Public Holidays. Manningham Art Studios are accessible by wheelchair.